At the heart of one of the world’s most iconic cities, Central London is the place to do business in the 21st century. Surrounded by history and buoyed by tales of successes that have gone before, businesses from all around the world come here to make their fortune and place their stamp on the world stage. Although there are no clear boundaries lines defining Central London, the innermost part of the English capital is thought to rise up to Islington in the north and reach down to the Elephant and Castle in the opposite direction. East to west takes in Mile End and Paddington respectively with everything else in between making up what is widely regarded as the best city in the world. Known for its extreme diversity, Central London’s population is made up of pretty much every single nationality on the planet. Old mingle with young, and students and city gents can be found together on the famous underground railway network commonly referred to as The Tube. Tourists line every street, snapping away with cameras and mobile phones in order to capture a memento of the time they spent in this incredible part of the world. Tradition mixes with commerce and culture intertwines with innovation, making London one of the finest places to come and do business if you want to be ahead of the game. London is a city of ideas. Never stale, always evolving. Regarded as one of the “command centres” of the global economy, Central London is at the forefront of business and commerce. Known throughout the world as a leading financial centre, London has fifth largest metropolitan economy on the planet. Over 8.5 million people live in the capital and the London area generates almost a quarter of the entire GDP for the United Kingdom. The importance of London doesn’t end domestically; its productivity is felt all across the globe. Recent studies have shown that London exports around £92 billion worth of products annually and its own GDP is currently higher than the entire economy of the UK’s European neighbour, Belgium. Many sectors can be found here, but the predominant forces are now financial, legal, business and professional services, along with media, tech, retail, construction and, of course, tourism. The capital’s shift to a service based economy faster than many of its European rivals has stood it in good stead and its unparalleled transport links make it the number one place in the world for big international businesses to ply their trade. As we just touched upon above, London has an incredible transport network that not only serves the capital, but also reaches all four corners of the world. Globally recognised icons such as the Red London Buses and the Black Taxis work alongside the extensive over and underground rail network and London River Services to help keep London moving. Traffic on Central London roads is heavy despite the introduction of the Congestion Charge back in 2003, but the vast majority of Londoners opt for public transport to make their journeys across the capital. Cycling, too, has increased in popularity and a Cycle Hire scheme came into operation in 2010, with cycle docking stations found everywhere across the city. London is also served by the UK’s busiest airport, Heathrow. Gatwick is also used for long haul flights and Stansted Airport is just outside of the Greater London area in nearby Essex. London City Airport is closest to the centre of the capital and can be found to the east of the capital in London’s Docklands right next to another financial leviathan, Canary Wharf. This interconnectivity to the rest of world is one of the key reasons why London is such a major player in the international business world. Central London has the largest number of SMEs in the wider London area. At its core are the obvious financial and business sectors. 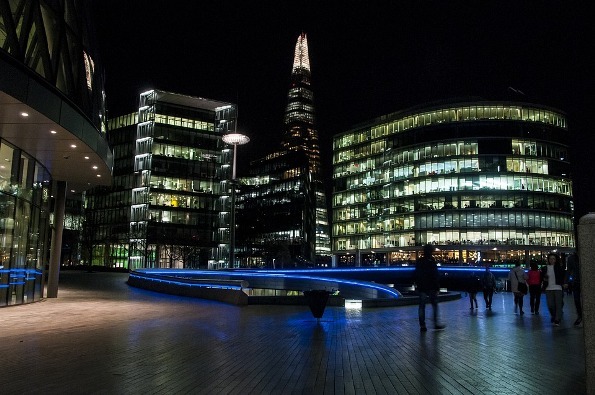 Large global financial institutions call London home, but there is still room for smaller, fresher companies to get a decent foothold and stake a claim on their own piece of the pie in the capital as well. Nowhere is there greater support for up and coming talent than there is in London, especially for those interested in the technology sector. Accelerators and incubators abound in the capital and funding is relatively easy to come by, too - providing you have a solid business plan, of course. Events and meet-ups are happening constantly here. In fact, your only problem in this regard will be choosing which ones to attend and which ones to avoid. Resources are plentiful as well, and many of the local councils are extremely clued in to the needs of burgeoning businesses who are looking to make their mark, be it domestically or internationally. All in all, if you are looking to become a serious player in the business world, Central London really is the only place to be.